Be the first to share your favorite memory, photo or story of Victor . This memorial page is dedicated for family, friends and future generations to celebrate the life of their loved one. 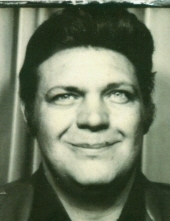 Victor Stramaglio 79 of Antioch, formerly of Grand and Ogden. Beloved husband of Carmella nee Bonadonna. Loving father of Victor Jr. and Anthony. Fond grandfather of Nikki and Angelina. Dear brother of Mary Cartina, George, Georgeann Cartina, Patricia Schumacher and the late Ralph, Isabelle Cappelltti, Carmine Abren, Patrick, Jenny Kazlauskas, Theresa English, Louie, Carol Wedler, Richard and Rose Barone. Fond brother in law of Joseph (Anita) Bonadonna. Fond uncle and great uncle to many. Visitation Thursday 3:00 until 8:00 p.m. at Cumberland Chapels (FRIEL FUNERAL DIRECTORS) 8300 W. Lawrence Ave., Norridge. Funeral Services Begin: Friday 8:30 A.M. at the Funeral Home and will proceed to Divine Savior Church. Funeral Mass 9:30 A.M., Interment Queen of Heaven Cemetery. To send flowers or a remembrance gift to the family of Victor Stramaglio, please visit our Tribute Store. "Email Address" would like to share the life celebration of Victor Stramaglio. Click on the "link" to go to share a favorite memory or leave a condolence message for the family.